Having fought for decades to recover its stolen ancient treasures, Greece is now hosting an exhibition exposing the secrets of antiquities smuggling past and present. Sepia photographs of 18th century European aristocrats posing proudly next to looted ancient art may startle visitors to the Benaki Museum, but the show History Lost is not just a stroll through the past. Organisers say its timing could not be better, coming as top museums such as the Getty in Los Angeles, whose former antiquities curator is on trial in Rome for trafficking looted Italian art, are beginning to give back stolen works. The audio-visual show takes visitors through the ages of antiquities smuggling - from the Victorian collectors of Classical art to the looting of Iraq's National Museum in 2003 - and the routes of the modern-day illegal trade. In the 17th century, wealthy Europeans, enchanted with the ideals of Classical beauty, filled their homes with Greek and Roman antiquities. By the 20th century, African and Asian art once seen as ethnic handicraft also fell victim to the trade. The exhibition is divided in two parts, before and after the 1970 UNESCO convention on the illicit trade of cultural heritage, which prompted former Metropolitan Museum director Thomas Hoving to declare: The age of piracy has ended. The United States signed the treaty in 1983 and Britain in 2003. 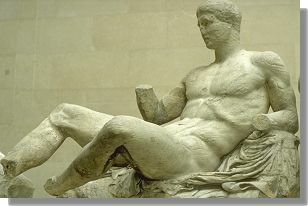 But it was the Swiss signing in 2005 that was hailed a major victory against antiquities smuggling.